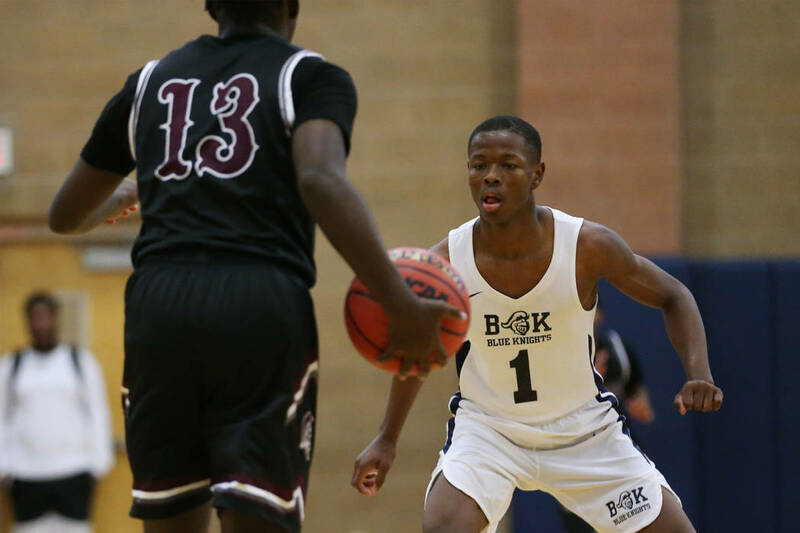 Senior Najeeb Muhammad is one of the best players in Southern Nevada and has Division I offers and interest from Southern Utah, Sacramento State, Northern Arizona and Cal State Bakersfield. 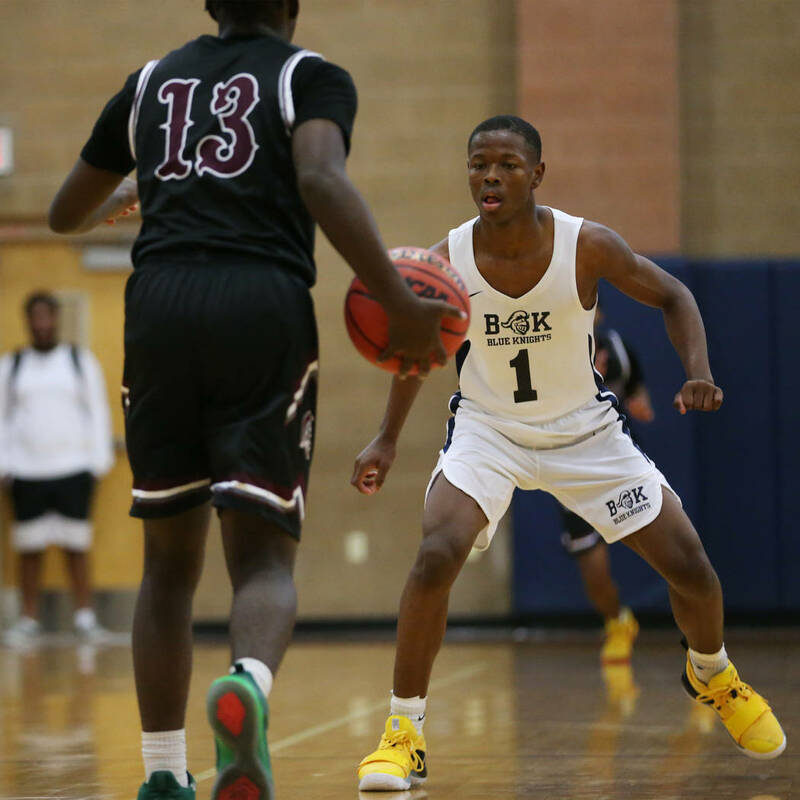 Democracy Prep boys basketball coach Trevor Diggs made a promise to football player turned point guard Najeeb Muhammad — then a spindly, unskilled freshman — during the 2015-16 season. In the three-plus years since that conversation with Diggs, Muhammad has completed countless three-a-day workouts to develop his ballhandling, shooting and court vision. 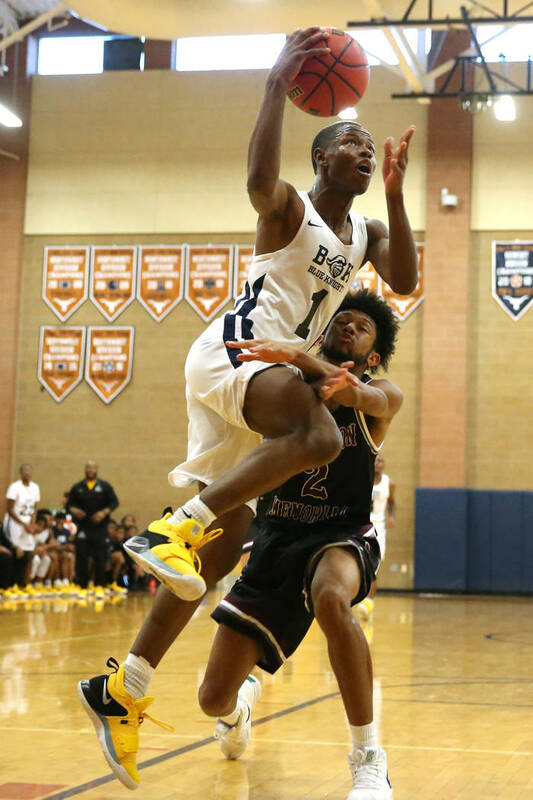 Now a 6-foot-1-inch senior, he’s one of the best players in Southern Nevada and has a Division I offer from Southern Utah, and interest from programs like Sacramento State, Northern Arizona and Cal State Bakersfield. He plans on committing to a college after his senior season. Muhammad stopped playing football in junior high, citing injury concerns and a newfound love for basketball. But he was cut from the middle school team amid a lack of experience and challenged to improve by Diggs. Diggs met Muhammad in fourth grade and had a particular interest in his progression, guiding him through three daily workouts throughout his ninth-grade season — two during the school day as his physical education teacher and one at practice with the Blue Knights. Muhammad subsequently developed an addiction to improvement and received his first scholarship offer at the end of a sophomore season in which he averaged 14.1 points and 8.1 assists. Muhammad averaged 19.1 points and 7.9 assists as a junior and is even better as a senior — 22.5 points a game — after an additional summer of three-a-day workouts. 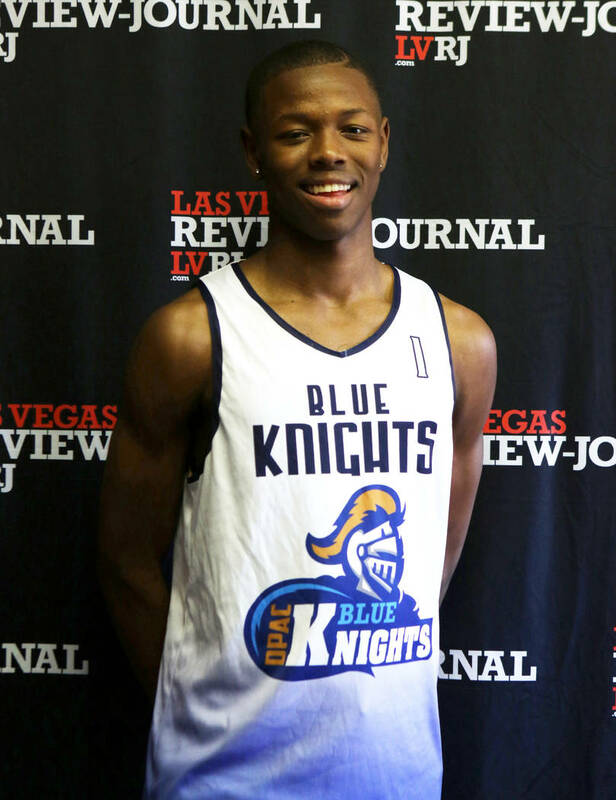 Diggs empowers him as the unquestioned leader of the Blue Knights, and he responds by scoring, creating and defending at a Division I level. Oh, and working. He’s still working. Three times a day, at that. Bishop Gorman junior soccer player Jaden Terrana was named to the 2018 Allstate All-America Team. Allstate worked in conjunction with MaxPreps to select 75 boys and 75 girls as junior All-Americans. Terrana had 21 goals and 21 assists for the Gaels, who won the Class 4A state championship. On the boys side, Gorman midfielder Caden Buckley earned the same honor. He had three goals and three assists while helping the Gaels to a 14-4-2 record. Tech diver Elle Renner signed with Tennessee on Thursday, becoming the first Roadrunners’ diver to sign a Division I athletic scholarship.